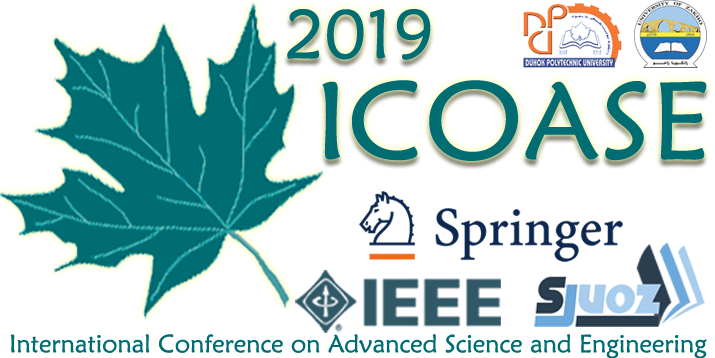 Early-bird deadline is March 20th, 2019. All conference papers *MUST* have at least one registered author. Please note that the paid registration fee cannot be refunded if you cannot participate in the conference. For all accepted papers, the registration fee needs to be paid. Please note that your paper WILL NOT be published if the fee is not received. 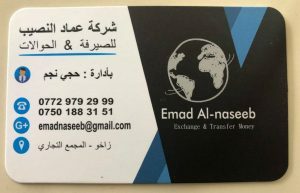 Payment needs to be addressed to Sami Abdulla Azab (سامي عبدالله عزب), Zakho, Iraq. Payments can be sent from any money transfer agencies. Please mention ICOASE 2019 Conference and paper ID in the transaction receipt. Send us the scanned receipt by email.